Turning to the web for your dress has good and bad points. Here's how to make the right call. 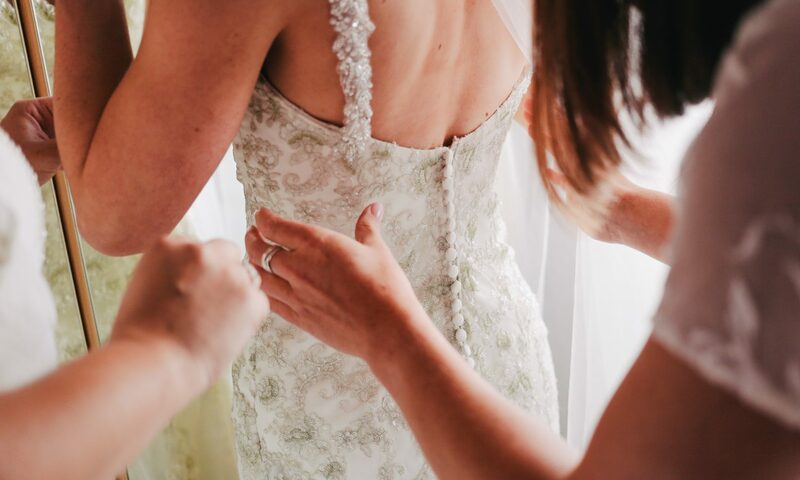 Read about the best wedding gowns for each body type, Brown says, and research the kinds of dresses your “celebrity doppelganger” wears. “If you have a body type that’s more like Beyonce or like Mindy Kaling or like Taylor Swift, looking at them on the red carpet in different things can actually kind of help you determine what looks best on you,” she says. Trying on a few types of gowns off the rack to begin with can be helpful, too. Trust the site's sizing. Take your measurements, and use them with the website’s size guide. Keep in mind that sizes vary by brand, Brown says, and that wedding dresses are often sized differently from street clothes. So trust the website if it recommends a size 10 based on your measurements rather than your usual 8. After all, your wedding's approaching — you have other things to obsess about.